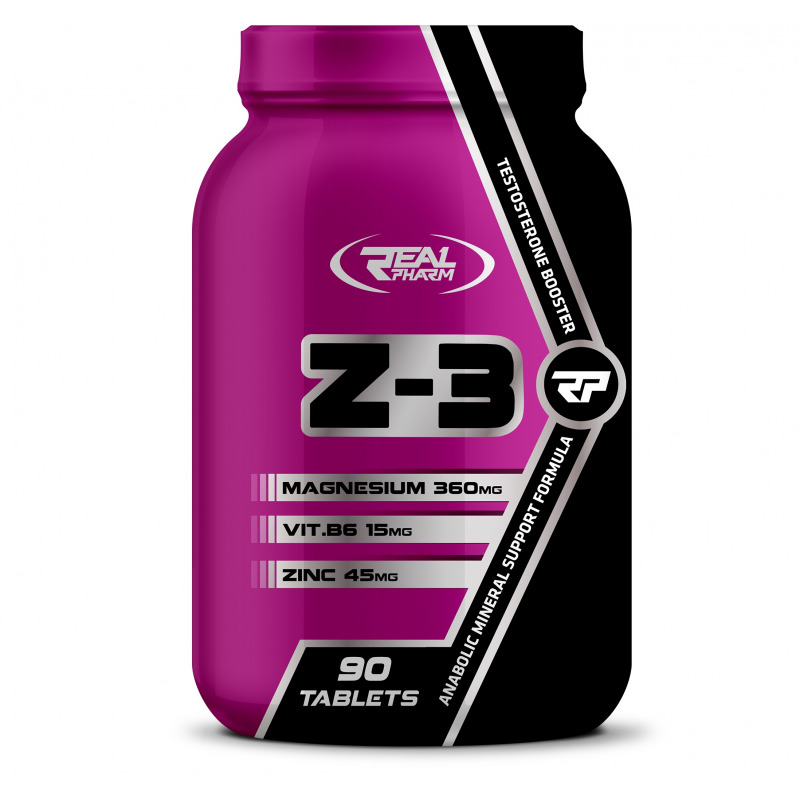 Real Pharm Z-3 is a dietary supplement in tablets, designed for professional athletes and demanding amateurs. The Z-3 dietary supplement is a high quality product that enriches the diet of athletes in magnesium, zinc and vitamine B6. Ingredients: citric acid magnesium salts (magnesium citrate); cellulose (microcrystalline cellulose) - filler; zinc lactate; magnesium salts of fatty acids - anti-caking agent; pyridoxine hydrochloride.